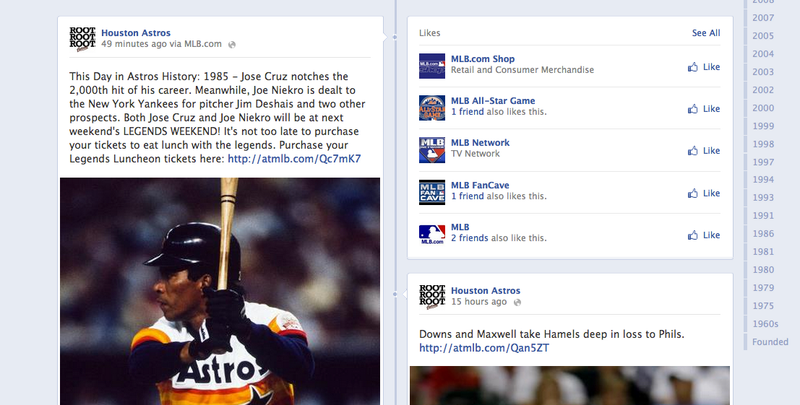 Above, the Astros's official Facebook page, on which they are currently advertising next weekend's Legends Weekend. The deal? Both Jose Cruz and Joe Niekro will be at next weekend's LEGENDS WEEKEND! It's not too late to purchase your tickets to eat lunch with the legends. Yes it is. Rest in peace, Joe Niekro. Hopefully they don't dig you up for an Astros fan luncheon.